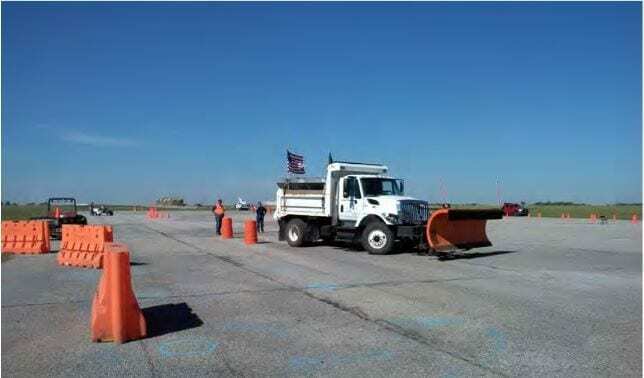 Each year, the Kansas City Metro Chapter of the American Public Works Association hosts a Snow and Equipment Training Expo, which provides a venue for area public works and maintenance personnel to test their skill in the operation of trucks, machinery, and mechanical aptitude. Participants complete both classroom style training and hands on operation testing including environmental, safety and operations in various equipment events. Participants also receive Kansas Department of Transportation training in the requirements of commercial driving. The Snow and Equipment Training Expo now is held annually in Independence Mo. The expo provides a unique training ground to learn, enhance and demonstrate the skills necessary for public works employees to do their jobs safely. Seven (7) employees participated in vehicle/equipment operator competitions, against many top operators from Kansas and Missouri. The overall team scored no lower than 9th place in individual events, placing Gardner in high standings amongst participating organizations like Lenexa, Lee Summit, Independence, Edgerton,S hawnee, Leawood, Raytown, Roland Park and Overland Park. Eric Willard and Fabian Owens, PW street maintenance employees, placed 1st in the first annual snow plow team -driving event. They will have a unique opportunity as APWA guests to represent the KC Metro chapter at a future national event.